Weymouth Sands is a family run bed & breakfast in Weymouth providing quality B and B. 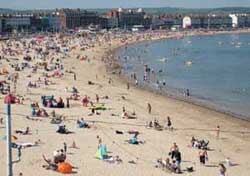 Ideally situated on the sea front just yards from Weymouth beach. 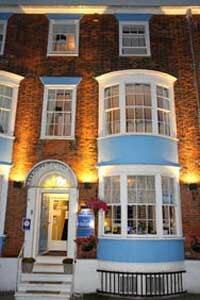 Visit Weymouth, Dorset, and stay at Weymouth Sands Guest House, where a warm welcome and comfortable Weymouth bed and breakfast accommodation awaits you from your resident hosts, Colin & Diane Green. Weymouth Sands is one of the few Weymouth B&Bs, Hotels or Guest Houses with panoramic views from the front rooms of the picturesque Weymouth Bay with its award winning sandy and safe beach, and to the rear the bustling Weymouth Harbour. 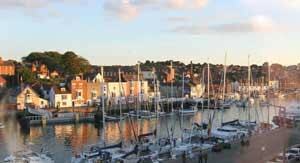 On the Weymouth Harbour-side you can charter boats for fishing and diving trips, or just sit back and relax watching the activities of the local fishing fleet, local and visiting yachts, or visit one of the many restaurants, pubs or museums. A beautifully located B&B in Weymouth, situated just yards from Weymouth's Beach and a short walk to the Town Centre, Theatre and Weymouth Harbour. Free Wi Fi Broadband Internet connection for Guests. 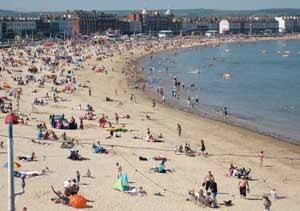 A Weymouth Accommodation provider, Accredited by Visit England.